Most New Yorkers who apply for veterans’ benefits desperately need this money. They may be disabled and unable to work, meaning they have no income. Without some sort of money coming in, the bills can’t be paid, people go without food and they get kicked out of their homes. There are others, however, who defraud the system. They find ways to receive benefits despite the system’s strict guidelines. They tend to get punished eventually. Meanwhile, many people suffer and even die while waiting for their hard-earned benefits. A woman was recently arrested after faking the birth of a child to receive veterans’ benefits for 17 years. The 60-year-old woman from North Carolina faked the birth of a son in 2000 in order to receive benefits from the Veterans Administration. She claimed that the father was a man who was a military veteran killed in 2006. The man was killed by a gunshot wound to the head. A suspect was charged with first-degree murder. However, due to a lack of evidence, the suspect was let go and the case was never solved. When the man died, the woman claimed that the man’s benefits should be paid to her in child support. The Veterans Administration approved her claim. Between March 2000 and May 2017, the woman received $103,000 in benefits. Authorities caught on and the woman was arrested on October 23 by the State Bureau of Investigation and Army officials. The woman was about to depart for a cruise when she was arrested. On November 13, a grand jury found her guilty of obtaining property by false pretenses, a felony. She is currently held in Guilford County Jail on a $1 million bond. Anyone can take advantage of the system and attempt to defraud benefits from the Veterans Administration. An employee or contractor of the agency could commit fraud, as could a claimant, patient or beneficiary. If you believe that someone you know is illegally receiving veterans’ benefits, it’s your responsibility to report it. You can contact the Office of Inspector General (VAOIG) via phone, email, fax or mail. When filing a claim, include the names of those involved and an account of what you observed. State only the facts; do not include opinions. Unfortunately, some people take advantage of government benefits and defraud programs of millions of dollars—money that should be going to those who truly deserve it. 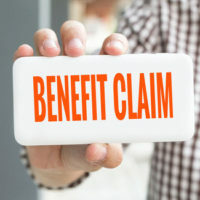 Because of fraudulent activity, many people are denied benefits and face significant delays as they navigate the appeals process. Are you having trouble obtaining veterans’ benefits? If so, contact the Law Office of Michael Lawrence Varon in White Plains to fight back against the government. He can help you with this often complicated process. Call the office at 914-294-2145 to schedule a complimentary consultation.